After my last anti-winter post, I feel winter does deserve (some small iota of) acknowledgement for the beauty it can create. In my mind, a gorgeous snow is winter's crowning achievement. 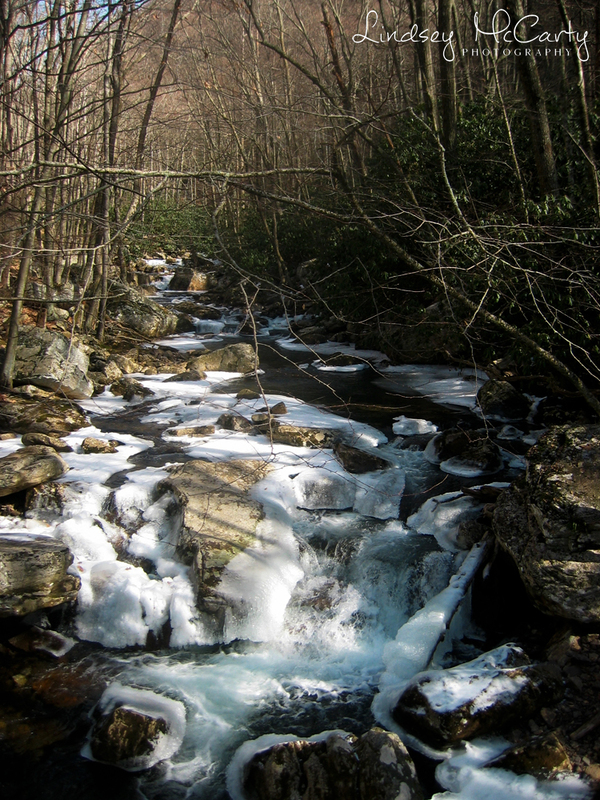 A couple of years ago in late winter, some friends and I (and a couple of dogs) trekked out to Cascades waterfall in Pembroke, VA on a warm pre-spring day and discovered that the shade rendered huge chunks of the 4-mile round-trip hike dangerously slick and icy. We pushed on in spite of a serious lack of footing and my crazy dog recognizing zero level of danger. When we made it to the top of the trail, we discovered it was worth it. 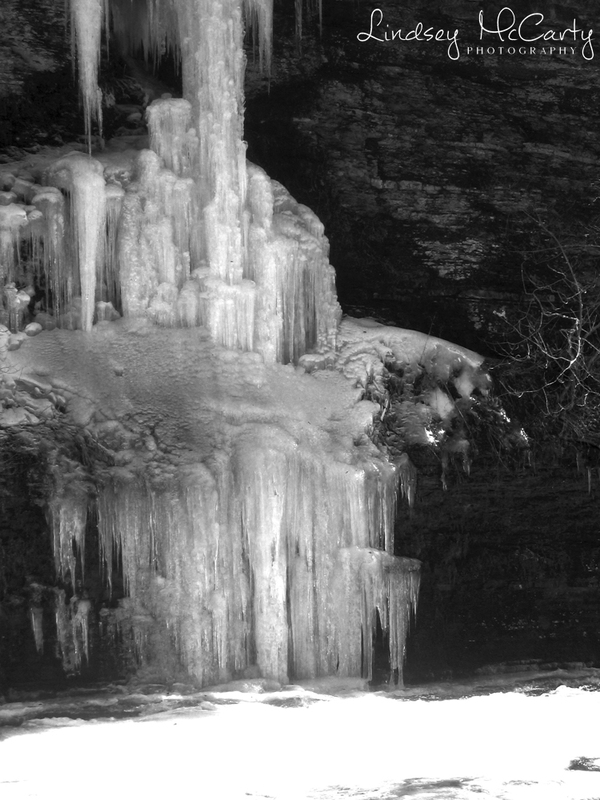 Except for a small central part of the 69-foot high waterfall, the rest was frozen solid. I hadn't brought my "good" camera, which was fortunate given the unsteady climb, but I was able to capture some great shots of the waterfall. I've yet to make it back in warmer weather, but I'd imagine it is in one of those micro-climates that would make it a cool hike even in stifling August humidity. I'm sure one of these days, I'll be posting pictures of the waterfall looking very much alive. The Giles County site that I linked above describes the waterfall as one of the most beautiful falls in Virginia, and I have to say I'm with them on that.